RIDING a wave of renewed producer confidence as ex Cyclone Trevor continues to deliver moisture across large parts of western and southern Queensland this week, this morning’s Dalby cattle sale recorded some dramatic rises in price, especially for backgrounder and feeder types. Today’s sale attracted particular attention, because it included 1600 one-brand heifers bred on the Barkly Tableland which have spent the past four months on the stock route before being driven into the Dalby selling complex on foot yesterday, as feed options started to run out. The Hughes family’s Georgina Pastoral Co heifers, mostly Ultrablack crosses, were bred at Lake Nash, before being trucked to Mitchell last November. Originally destined for Georgina Pastoral’s Caldavale Station, near Tambo, they were put on the stock route when summer rain did not arrive, travelling through Roma, Wandoan and Taroom before heading east to Chinchilla and into the Western Downs before finally arriving for the weekly Dalby sale yesterday. The fortuitous arrival of recent rain greatly boosted interest in this morning’s sale, with the biggest attendance in recent memory jamming the Dalby yards laneways, despite drizzly rain. Marketing agent Peter Daniel from Grant Daniel & Long said the market was up at least 40-50c/kg in places, with the Georgina cattle in very strong demand from Downs lotfeeders and backgrounders. 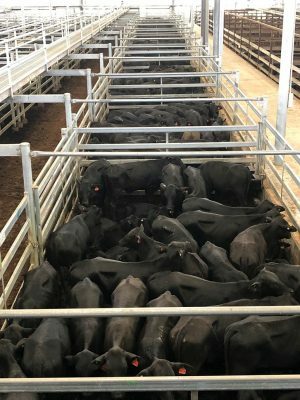 “Meatworks cattle in the sale lifted 10-25c, feeder types 15-20c, and some of the feeder heifers lifted probably 40c/kg or more,” Mr Daniel said. Downs backgrounders chasing cattle for feedlot placements paid up to 278c for some of the Georgina heifers – cattle which would have struggled to make 200c/kg only a week or two ago, he said. “The general run sold from 230c-270c/kg. But it has to be kept in context – this was a very rare offering of one brand quality cattle,” he said. Most of the Georgina heifers went to inner and western Downs buyers, mostly destined for domestic 60-70 day grainfed programs. Some of the restocker buyers in attendance held back a little, as cattle they could have bought for 160-170c only a week or two ago were now making 260c/kg or more. “It’s great to see the injection of confidence that’s happened, with buyers lining up to pay good money for large lines of quality, one-brand breeder cattle,” Mr Daniel said. Fuelled in part by this morning’s Dalby sale, the meteoric rise in the Eastern Young Cattle Indicator continued today, lifting another 14.5c/kg since yesterday to reach 486.25c/kg this afternoon. That’s a rain-driven rise of 101c/kg in a fortnight, as reflected in our home page dashboard graphs. 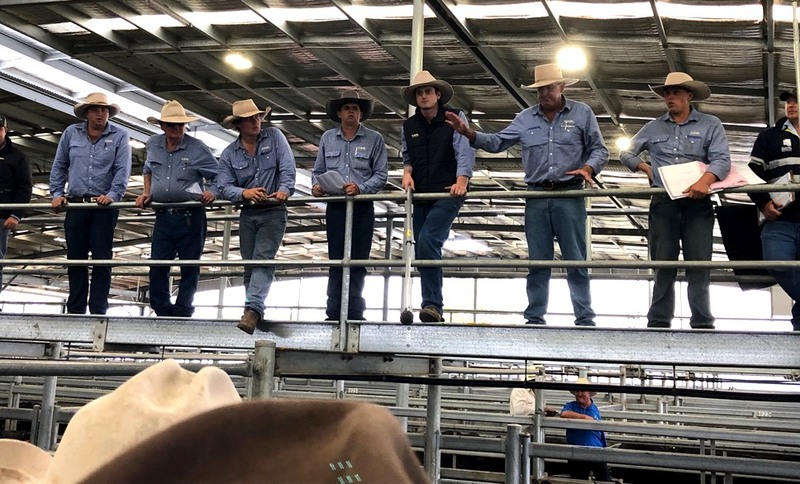 The current strong market recovery cycle in Queensland was also in clear evidence last Friday, when AA Co recorded solid results for 5200 young cattle offered through Longreach saleyards and interfaced on AuctionsPlus. 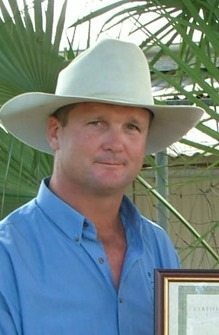 Boyd Curran at Landmark in Longreach said rain brought by ex-Cylcone Trevor to western Queensland this week has been “incredible”. He said falls have so far ranged from 75-100mm around Cloncurry and McKinlay, up to 200mm south of there towards Middleton and Boulia, 100mm west of Winton, and then further totals of 200mm west of the highway between Winton and Longreach, sliding through to Blackall where some properties have also had close to 200mm. Barcaldine registered 84mm, Longreach township 73mm and Muttaburra 20mm. Patchier totals were recorded further south. Totals reported by BOM at 11am today 28mm at Birdsville, 50mm at Charleville and 21mm at Morven. Since the decision to sell the Georgina Pastoral Co heifers, Lake Nash where they were bred has received almost 100mm of rain while neighbouring Argadargada received 230mm. Caldavale Station had received 50mm by Tuesday. Mr Curran said the rain was invaluable. “It is still warm enough that we will get good growth out of this, and the volume of rain has been fantastic,” he said. “Anyone who is lucky enough to get any follow up rain from this will have quite a good season, it will grow beautiful grass, and maybe even a bit of herbage. Mr Curran said there are currently six men drafting cattle in the rain today for Friday’s special store sale, in which Landmark is offering 2500 head from Australian Green Properties at Alice Springs, and a further 2800 head from AA Co at Longreach.